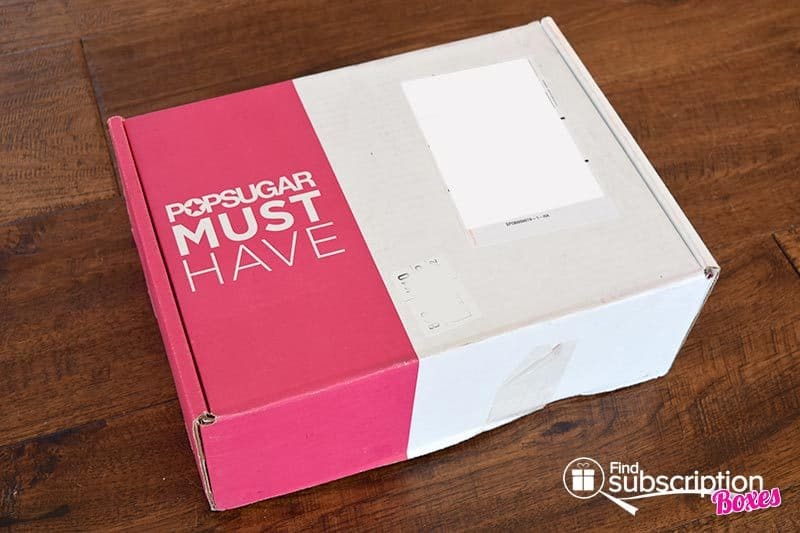 The POPSUGAR Must Have subscription box delivers a monthly surprise box of full-size products. 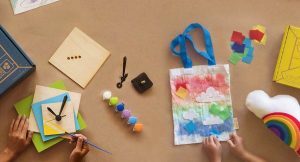 Each month, POPSUGAR Founder & President Lisa Sugar and her editorial staff curate an exciting box of must-have product picks. Each box has over $100 worth of from fashion, beauty, home decor, fitness and more. 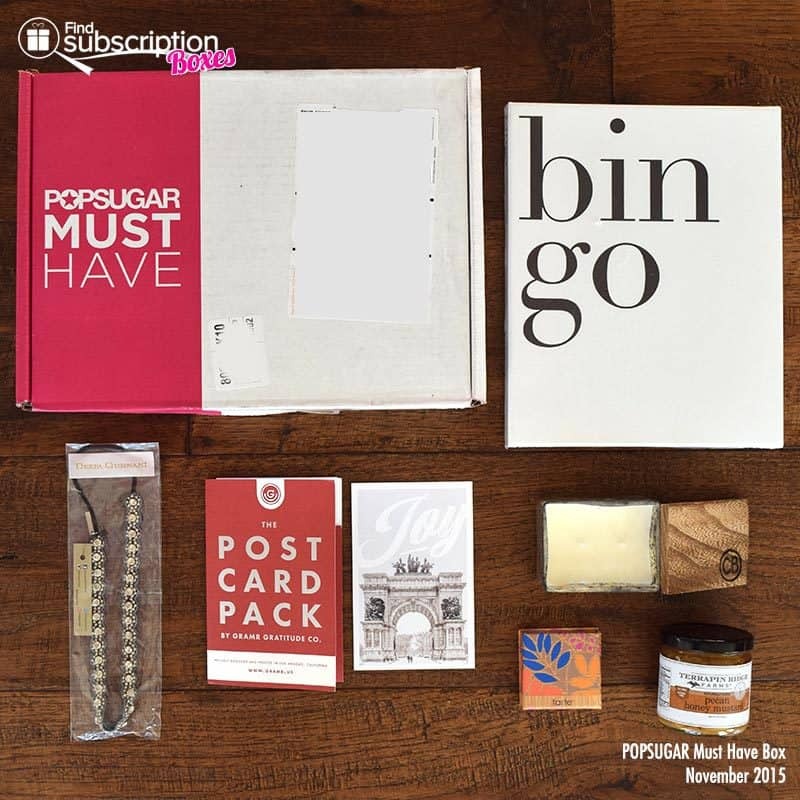 With today’s POPSUGAR Must Have Box review, we’re unboxing the November 2015 POPSUGAR Must Have Box. POPSUGAR includes a product card in every Must Have Box. The product card has pictures, descriptions, and retail values of that month’s products. 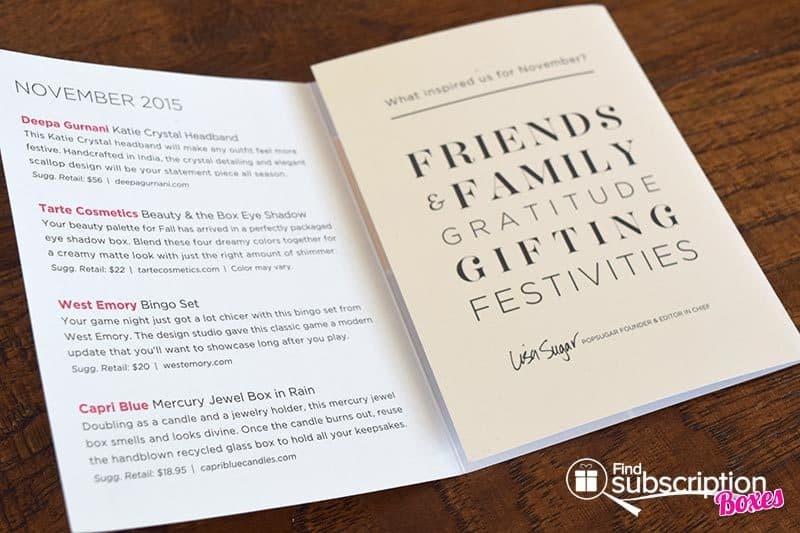 Here’s a first look inside our POPSUGAR November 2015 Must Have Box. There were 6 products and 1 bonus item in our November POPSUGAR Must Have Box. Handcrafted in india, this headband features crystal detailing and an elegant scallop design that will make a statement with any look. Use this modern version of the classic game to a fun Bingo game night. 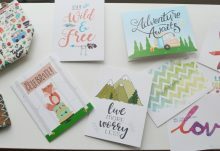 Send a handwritten note to friends and loved ones with a colorful Thanksgiving-themed postcard. Create a creamy matte look with a hint of shimmer using Tarte’s four perfect-for-Fall eyeshadow colors. First use the candle for an amazing fragrance, then use the handblown recycled glass box to hold jewelry or keepsakes. Perfect for holiday meals, this mustard pairs the rich flavors of pecans with the sweet tang of honey mustard. 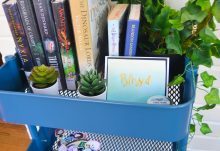 The November 2015 POPSUGAR Must Have Box had perfect Winter-themed product finds that will help make the holidays more fun and enjoyable. The headband and Tarte palette provide great options for evening style and makeup. The Bingo game set is perfect for cold winter nights at home. We love the dual purpose candle. It smells amazing and the glass box is great for holding special items. 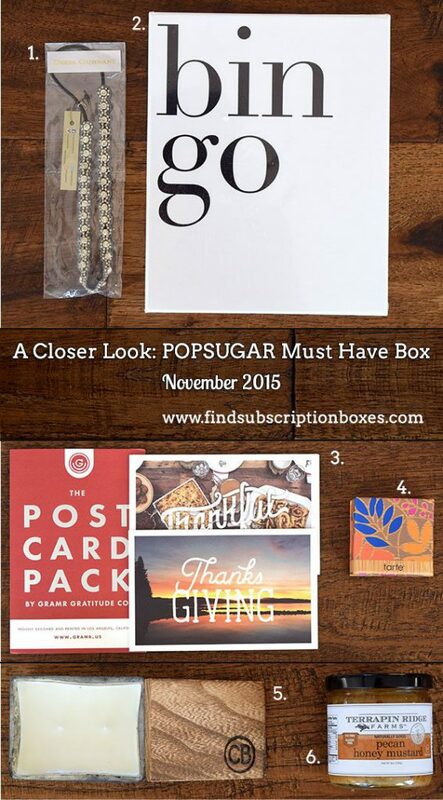 The total retail value of the November POPSUGAR Must Have Box was $112.95! What was your favorite POPSUGAR November 2015 Must Have Box item?